Couch To 5km is a 9 week programme designed to enable you to be able to run 5km by the end of the programme. The course starts on Monday 12th June at Princess Royal Hospital Telford @ 17:30 and each session will last approximately 30-45 minutes. 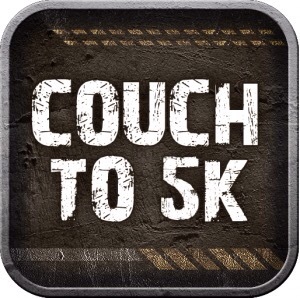 There are many proven benefits of the Couch To 5k both physical and psychological. Course duration ~ 9 Weeks. Cost ~ Nothing, Zero, Zilch the course is free. Days ~ Monday’s and Thursday’s. Start date ~ 12th June. Finish date ~ 10th August. Graduation run ~ 12th August Telford parkrun. Dress code ~ As we are running through the summer hi-viz is not compulsory just wear comfortable sports clothing . Footwear ~ wear a pair of comfortable trainers we will be running on the roads and paths round Apley. Run leaders can give personal advice on where to get specialist running trainers from. Weather ~ we will be running on every Monday and Thursday regardless of weather, with the exception of severe weather when the run leader deems it unsafe to be out running. So please dress appropriately for the weather and Slip on T-Shirt, Slop on the sun cream and Slap on a hat if the weather turns warm (fingers crossed) . Looping ~ to enable the groups to stay together we have a policy of looping, this enables each group to stay together. Faster runners will be expected to loop to the back at regular intervals throughout the run, this will be explained in more detail on the first session. Progress ~ each session you will notice a progression in your ability to run, by the end of the 9 weeks you will be able to compete the 5km. What if I can’t make all sessions? ~ if you can’t make all the sessions each week do not despair, try and get out and complete a run similar to what you did in the previous session. How many times do I have to run per week? ~ what we have found is that people who run three times per week progress at a faster rate, the programme is scheduled for the Monday and Wednesday sessions but it would good if you could try and run sometime between the Thursday and Monday session (parkrun on a Saturday morning is a good place to try) again more will be explained during the first session. Newsletter ~ each week a brief newsletter will be sent out giving some tips, advice and a recap of what we have been doing that week. Last but by no means least please enjoy it, it may seem like hard work at the time but you will reap the rewards later. If you any queries do not hesitate to contact us at C25k@lawleyrunningclub.co.uk. All participant’s will be sent a short pre/mid & post activity questionnaire from Energize to help evaluate the programme.